Performance, protection and comfort are sculpted into a new dimension of style with an interchangeable lens design that keeps you a step ahead of changing light conditions. The latest evolution of our coveted Half Jacket® sunglass, it wraps your vision in the razor-sharp clarity of High Definition Optics® (HDO®). Wherever your sport takes you, you’ll have the all-day comfort of a lightweight design that can take punishing abuse while serving up premium optical technology. Our original Half Jacket became essential gear for athletes, and version 2.0 takes the proud heritage to the next level of design. But when it came to protection and comfort, we weren’t about to mess with the best, so we made it with the same lightweight O Matter™ frame material and Unobtainium® components that keep it comfortably in place, even when you’re dripping with sweat. The Three-Point Fit won’t hook your ears like ordinary frames, and it keeps the lenses in precise alignment so they can give your eyes the vision of victory. We engineered plenty of optional lenses for Half Jacket 2.0, so you’ll be ready for any environment. Iridium® lens coatings balance light transmission and reduce glare. 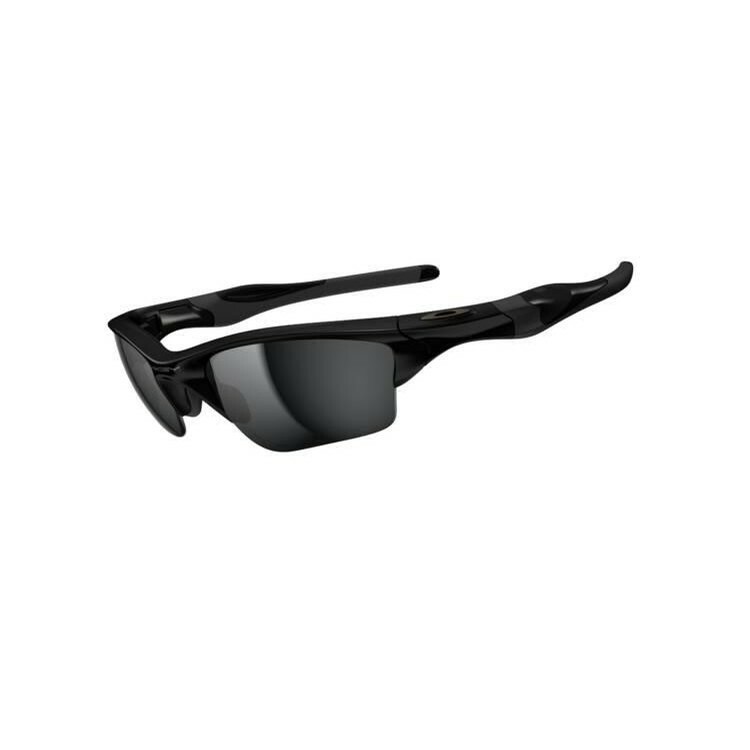 For the ultimate in glare-cutting performance, go with Oakley HDPolarized lenses. You also can get optics with Transitions® SOLFX® photochromic technology that automatically darkens the lenses in response to sunlight. Half Jacket 2.0 is available with Oakley Authentic Prescription Lenses.